Two of the largest and rarest things in the world, one made by man and the other by Mother Nature, are found on Yap, the small, remote island that is a close neighbor of Guam. One of the four states of the Federated States of Micronesia, Yap is made up of four large, contiguous islands, seven small islands and 134 atolls that stretch across 100,000 square miles of ocean of which 22 islands and atolls are inhabited. With only 7,000 residents on the main island and 11,000 in all, Yap has a long history and very old culture that spans several thousand years and is considered among the best preserved in the Pacific region. When the Spanish arrived in the 16th century, the large wheels of limestone known as “Stone Money” or “Rai” were already being used as currency. Found nowhere else in the world, no one knows for sure when or why the hand-chiseled, donut-shaped wheels originated. Some estimates suggest they may have been in use as early as 1200 BC. But they are still used today for certain types of trade and social transactions such as marriage, inheritance or to settle a disagreement, even though American dollars are now the daily method of payment. 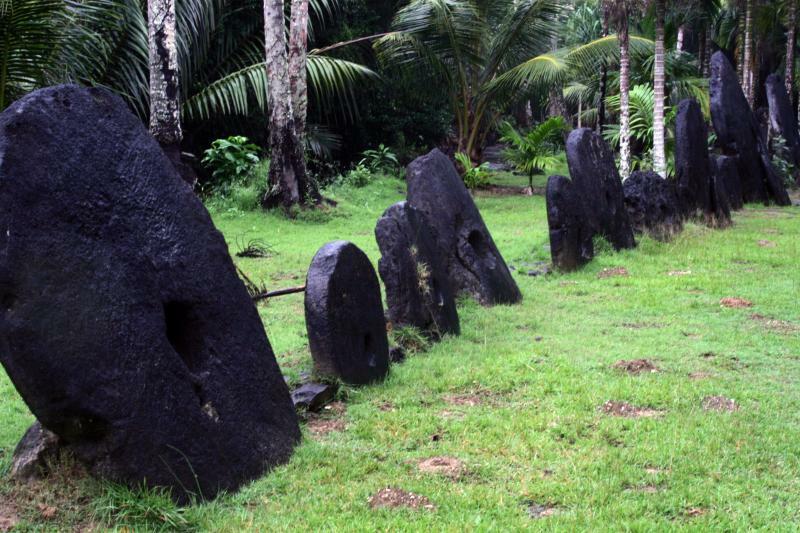 At its largest, Stone Money has a diameter of up to 12 feet and weighs approximately 15 tons. The smallest is just a few inches across. But size does not determine its value. Brought to the island on bamboo rafts towed by hand-made canoes, value is based on the history of each disk and any hardships or even deaths associated with transporting it across several hundred miles of open ocean from an ancient quarry on the neighboring island of Palau. Today, the massive wheels – the center hole was used to carry them on bamboo poles to their final resting places – can be seen throughout the island leaning against houses and community buildings. Others are kept in well-tended, open-air sites called Stone Money Banks. Few are ever moved but their provenance and ownership are maintained in the collective memory and passed on through oral storytelling. 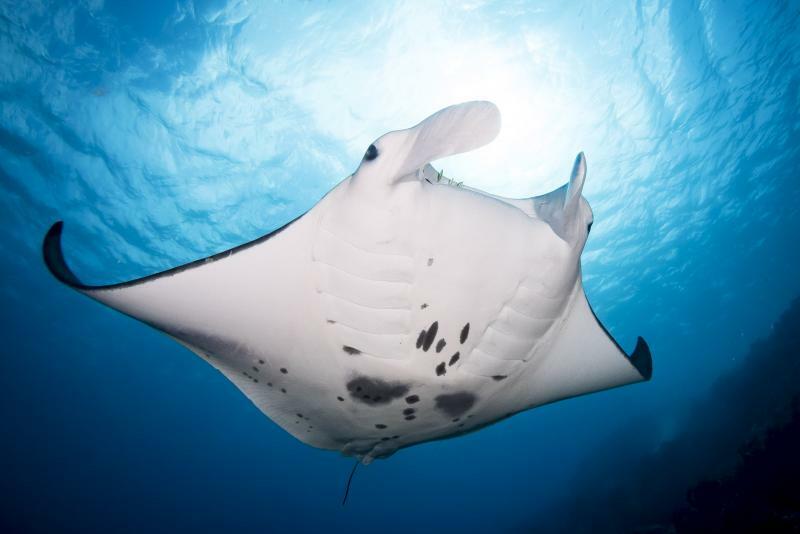 The other massive disc-shaped item in Yap that is equally well-known is found in the surrounding, protected reef where a resident population of manta rays lives. While less hefty in weight than stone money at close to two tons, the behemoths can grow up to an average of 10 to 12 feet in diameter or more and are well-known among devoted divers who consider Yap one of the top ten diving destinations in the world. The winter months from December to April offer the most exciting diving. This is the time when small groups of the manta rays are engaged in courtship and mating rituals with lines of the gentle creatures dancing together in trains. At this and other times of the year, the rays stop at cleaning stations where small cleaner fish swim in and round the giants removing parasites, flaking skin and other matter. Divers and snorkelers visiting Yap also come to swim among reef sharks, sea cucumbers, turtles, tuna, brilliantly colored corals and reef fish, and many other species of sea life. It’s an underwater photographer’s playground. Not a diver? Not a problem. Go kayaking amid the mangroves; stop by the canoe house on the lagoon and visit with master canoe builders as they pass on their skills to the next generation; take a guided land tour and learn about Yap’s WWII history while looking for one of the island’s indigenous birds or plants; or just relax and enjoy a massage. 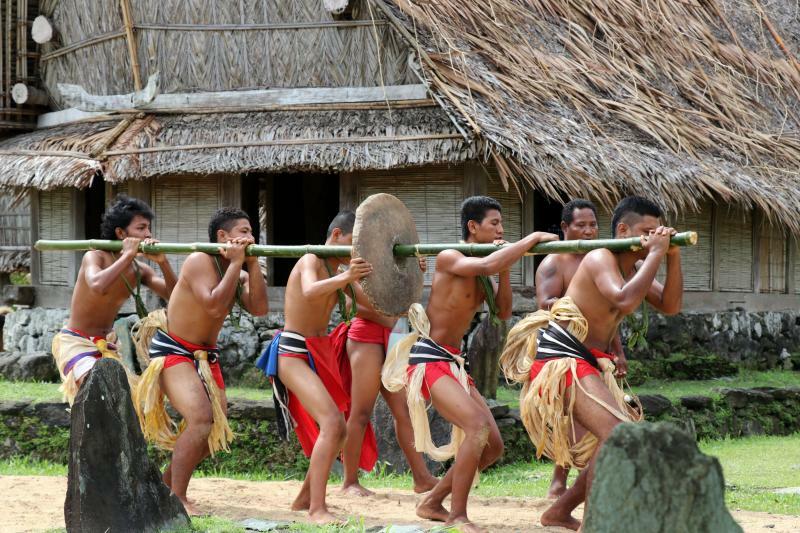 To see the culture on display, go for Yap Day at the beginning of March when families and friends gather to celebrate with a colorful festival of traditional dances, games like betelnut tree climbing, crafts demonstrations and canoe building and paddling. The two-day event is put on by the Yapese for the Yapese, but visitors are warmly welcomed and invited to taste local foods, sip the juice from a fresh coconut; learn how to weave a basket from a single palm leaf; make a grass skirt or a nunuw, the flower head wreath worn by both men and women; or try your hand at wrapping on a thu’u, the loincloth worn by men. GETTING THERE. There are two flights a week from Guam to Yap on United. Accommodations include two small dive resorts, two economy hotels, an eco-lodge and an historic inn. For more information about this island haven, visit the Yap Visitors Bureau website at www.visityap.com.